The Toronto Maple Leafs as the legitimate 2019 Cup favorite might be long overdue. However, they’re still a young team, their defense is questionable and more importantly they haven’t won a playoff round since 2004. Then again, with Tavares. Anything’s possible. The storied history of the Toronto Maple Leafs spans more than a century and includes 13 Stanley Cups. The last time Toronto raised Lord Stanley was back in 1967 when they defeated the Montreal Canadiens in six games. After finishing the 2017/18 regular season campaign with an impressive 49-26-7 record, capturing the sixth-best overall record and setting a franchise mark with 105 points, the Leafs were unfortunately dealt the Eastern Conference’s toughest opening series opponent in last year’s playoffs -- David Pastrnak, Brad Marchand, Patrice Bergeron, and the Boston Bruins -- and, were sadly eliminated in the first round for the second straight season. This year, they are the leading candidate to win the Stanley Cup by NHL players, hockey analysts and of course fans primarily because of maturing players like Auston Matthews, Mitch Marner, William Nylander and the offseason acquisition of John Tavares, the long-time New York Islanders' superstar who agreed to a seven-year, $77-million contract on the opening day of free agency and Canada Day. 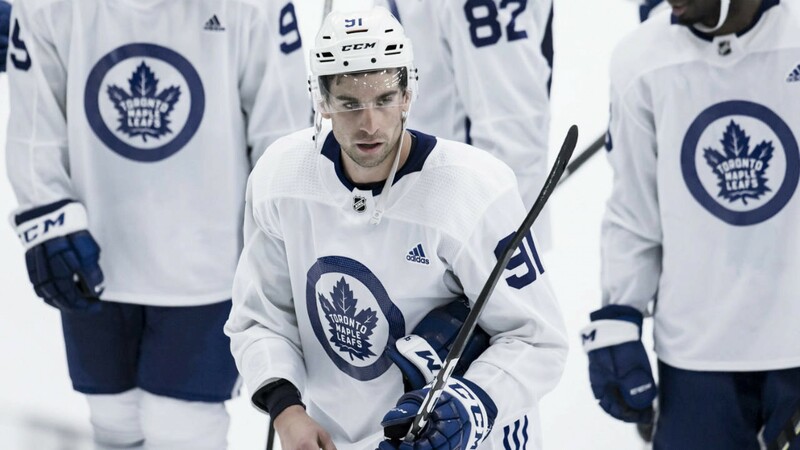 “When I looked at everything and saw how good this young team is and how young this core is, there is the potential to be competitive for a long time and give yourself as many opportunities as you can to get to the top of the mountain and win a Stanley Cup,” said Tavares. "I like watching Matthews. So big and physical and just so naturally gifted, his hands and shot," said Chicago Blackhawks' superstar forward Patrick Kane, a three-time Cup winner. "Really fun to watch, especially up close and personal when I've skated with him. It's pretty impressive." “I think Toronto has a really good chance this year," said Carolina Hurricanes defenseman Jaccob Slavin. "I think they have a pretty solid [defense] corps, but with the pickup of Tavares, [William] Nylander and Matthews maturing more, I just think they're going to be a dangerous team this year." "I think everybody is going into this year pretty hungry, pretty driven to be better individually and as a team, and obviously those expectations go up quite a bit when you add a guy like [John]. I think we're all-ready for that though," Matthews told TSN. The Leafs as the legitimate 2019 Cup favorite might be long overdue. However, they’re still a young team, their defense is questionable and more importantly, they haven’t won a playoff round since 2004. Then again, with Tavares... anything’s possible. How do you think John Tavares will do with the Toronto Maple Leafs in the 2018/19 season? Let us know in the comment section below, and make sure to follow us on Twitter (@VAVELNHL_ENG) for more updates!